Happy Monday ROYALS! We did some research this past Friday.. our conclusion is that nothing is better than some retail therapy at Van De Vort in Del Mar! 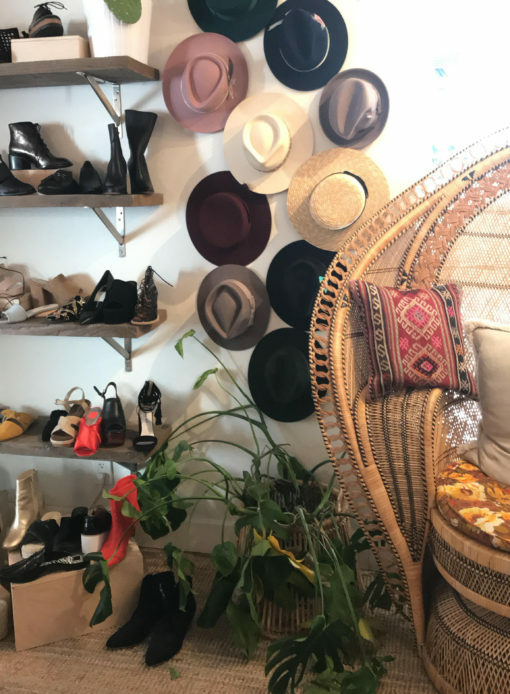 Like most ladies, we love shopping and this picture perfect store in Flower Hill Promenade should be your go-to destination when you need an outfit for brunch or you want to go have fun shoe shopping with your BFF! Reneé and I went from Banker’s Hill to Del Mar to check out what VDV was all about and we were so impressed. When we entered, it was true love at first sight. Their staff is trendy and extremely customer service oriented, their racks are full of all our favorites (cozy sweaters, fun two-piece sets and glam sequin dresses for a night out in Gaslamp). They personalized the experience by recommending pieces for us to try and grabbing our sizes for us while we were in the fitting rooms, which are also so ‘instagrammable’. We left with the perfect outfits for our event coming up this Thursday at Spa Kingston. What’s this you might ask? And we have great news.. VDV is bringing their store to SK for the ultimate Galentine’s Day party on Feb. 8 from 7PM-9PM and all the ladies at the event will be receiving exclusive discounts to shop ‘til you drop. Come stop by with your fave gals, shop this exclusive collection from VDV, and unwind with our ‘express de-stress’ mini- treatments (15 minute Mini Facial Royale ($15) or 15-minute Deep Tissue Massage ($15) and free facial consults)! We hope to see you to there sippin’ on rosé, shopping for that perfect V-day outfit, and getting pampered! We can’t wait to celebrate with you! Follow us on insta @spakingston for more details!